The Petrodvorets Watch Factory is the oldest factory in Russia. The factory, located in Saint Petersburg, was founded by Peter the Great in 1721, and since 1962, has manufactured Raketa watches. In 1966, Sekonda was founded in the United Kingdom. Sekonda imported the Poljot and Raketa watches from the USSR and re-badged them with the Sekonda name. These high quality, reliable watches were relatively cheap and were very successful. Due to the introduction of quartz movements, Sekonda moved production to Hong Kong and began making more fashionable watches with this new technology. Excellent marketing skills and a range of great watches led Sekonda to sell more watches than any other brand in the UK in 1988. This position has been held ever since due to an ever expanding, innovative range of watches. In 1998, the watch market began to expand with a number of fashion watch brands designing and manufacturing their own fashion watches. Instead of increasing the overall sales of watches, this led to market share being spread more thinly across all the watch brands and it became clear that Sekonda watches would need to diversify in order to maintain its market leading position. In 2004, Sekonda watches added the stylish and contemporary ladies Seksy watch line to it’s range. The Seksy watch range was to be aimed at the 25 to 35 age group and would build on the well known and successful Sekonda watch brand name. 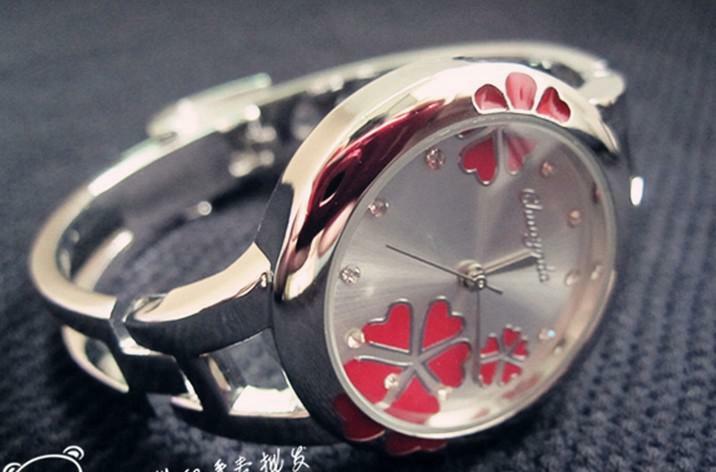 This brand recognition would instil customer confidence in this new range of ladies Seksy watches. The initial Seksy watch range consisted of eleven watch models and with some excellent marketing campaigns and some very clever and innovative watch designs, a number of these Seksy ladies watches quickly became best sellers. The success of the Seksy watch brand prompted Sekonda to expand the Seksy watch line to around thirty models within a year. A year after the launch of the ladies Seksy watches, Sekonda introduced the Sekonda One range of watches. The Sekonda One watches are fashion watches aimed at men and, similarly to the ladies Seksy watches, stick to Sekonda’s winning philosophy of offering excellent quality watches at a low price point. Both lines have since been heavily advertised. A very popular Seksy watch line is the Seksy Hidden Hearts ladies watch, a polished chrome plated bracelet watch comprising of interlinked heart shapes forming the bracelet and case, a mother of pearl dial and Swarovski crystals set in the case and dial with a high quality Japanese quartz movement. Another popular Seksy watch is the Seksy Eclipse ladies watch, a Swarovski stone set chrome plated quartz watch with an ‘eclipse’ design incorporated into the case and each watch link. Other ladies Seksy watches include the Seksy Curve ladies watch and the Seksy Electra ladies watch, both chrome plated, stone set contemporary designs with beautiful shapes. Sekonda’s main line of watches consist of numerous gold and chrome plated dress watches for men and women with almost every style imaginable. Many watch lines use popular expanding bracelets for convenience and standard bracelet watches and leather strap watches are also available in abundance, all with the same high quality and standards of workmanship that have led to a less than 1% return rate. Due to their outstanding value for money, Sekonda watches have been the UK’s best selling watch brand for the last two decades. The Sekonda range includes numerous stylish dress watches for men and women in gold plated, stainless steel and bi-colour designs as well as contemporary or classic stone set watches. Sekonda also manufacture SEKSY watches, an exceptionally popular and modern fashion brand also available on our site. All our Sekonda watches feature a high quality movement and come with a 2 year Sekonda guarantee.